Guilford County, North Carolina Horse Directory - O Horse! Appaloosas & Aussies (Australian Shepherds). 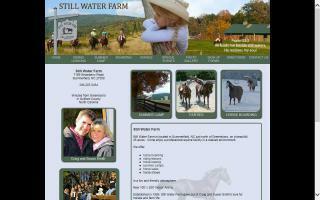 Located in central North Carolina, Diamond A Farm is the home of multiple World and National Champion Appaloosas and has developed a quality breeding, sales and training/showing program. Dressage site and blog. Jeanne Karver's website informs, inspires, and invites. Feel free to enjoy the blog and add your own comment. 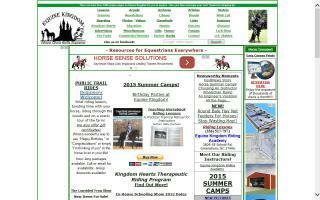 Equine Kingdom is proud to present Kingdom Hearts Therapeutic Riding! The inspiration behind the name - as everyone already knows, we are Equine Kingdom Riding Academy - Where Christ "Reins" Supreme. Matthew 19:14 says: Jesus said, "Let the little children come to me, and do not hinder them, for the kingdom of heaven belongs to such as these." We must have the right heart to enter the kingdom of God! Therefore, we must have "Kingdom Hearts" and be kingdom-minded. Our aim is to use horses to bring healing and growth and give people the opportunity to experience God's amazing creatures. Sally Cochran, owner/instructor, is currently Level 2 ARIA (American Riding Instructor's Association) certified, a member of AQHA, NCHJA, and PATH Int'l, and became a PATH (Professional Association of Therapeutic Horsemanship) certified instructor in November 2012. Our goal is to serve many riders with learning disabilities, autism, developmental delay, and much more. We have wonderful, safe, well-trained horses that have been with us for many years. Several of them have even been therapy horses at previous farms, and it shows in their wonderful, laid-back personalities. All of our horses here have been used in a therapeutic riding setting here at Equine Kingdom for over 5 years, and we have a variety of size, breed, and temperaments to suit a wide range of riders. We offer several different lesson packages at affordable rates! 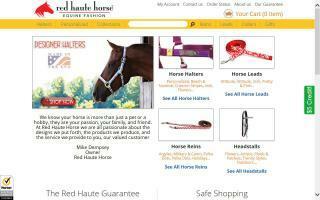 Red Haute Horse manufactures designer horse halters and leads. All of our products are made in the USA. Certified thermographer. 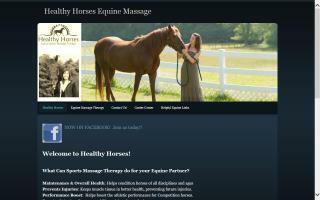 We work with owners, trainers, farriers, chiropractors, veterinarians, etc. to provide licensed, professional equine infrared thermal imaging. 28 point whole horse scans, pre-purchase scans, and saddle fit scans. Veterinary interpretations through our certified IR network are available. Centrally located in North Carolina. No need to trailer your horse. We come to you.